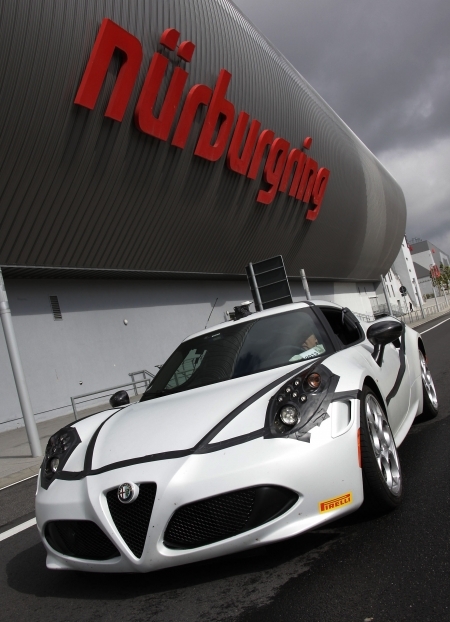 The new Alfa Romeo 4C has lapped the legendary Nordschleife at the historic Nürburgring circuit in Germany in a record-breaking time of 8 minutes 04 seconds, the fastest time of cars with engines under 250 HP and in line with times set by sports cars with much higher prices and more powerful engines. Driver, journalist and Nordschleife expert Horst von Saurma was behind the wheel when the record lap-time was set on September 12, 2013. Designed, engineered and built as a pure driving machine, the all-new Alfa Romeo 4C is an uncompromised thoroughbred that marks the return to the world of lightweight sports coupés for the Alfa Romeo brand. Its "natural beauty" is defined by function; the need to wrap the engine and chassis in a compact, aerodynamically-efficient shape, making it a worthy descendent of one of the most beautiful coupés of all time: the Alfa Romeo 33 Stradale. Alfa Romeo has selected the 2013 Frankfurt Motor Show for the international press debut of the Giulietta MY 2014, which will be marketed starting in October. Also parading down the prestigious German catwalk are the MiTo MY 2014, the new edition recently launched in Europe, and the fascinating 4C, the compact supercar that represents the true essence of a sport car and embodies the true values of the brand: Italian style, performance and engineering excellence for maximum driving satisfaction and total safety. The elegant five-door hatchback has caught the imagination of Britain’s motorists with its blend of style, performance and handling, enabling it to achieve a fantastic seventh place in today’s (24 April) Auto ExpressDriver Power survey. A stunning presentation at the Geneva Motor Show on Tuesday saw the world première of the eagerly-awaited production version of the Alfa Romeo 4C, the ‘compact supercar’ and Peter Edwards was there to capture these first photographs. Designed by Alfa Romeo and produced at the Maserati plant in Modena, the mid-engined rear-wheel drive coupé with two bucket seats will be available later this year and it will be the first car to mark the return of the brand to the United States and thus inaugurate Alfa Romeo’s global growth plan. 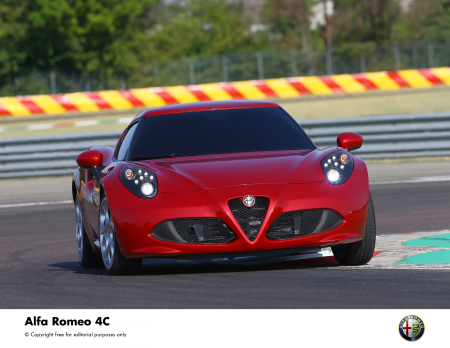 Alfa Romeo is proud to announce that the eagerly awaited Alfa 4C has been voted the most exciting car for 2013 by What Car?’s readership. The beautiful mid-engined sportscar beat the competition to pick up the What Car? Reader Award last night at the publication’s prestigious Car of the Year Awards 2013. Italian car manufacturer Alfa Romeo has increased its market share in the UK, recording – at the end of 2011 – a volume share increase of 30.8%, while also recording the highest yearly new registration figure for the marque (11,563 cars) since 2002.